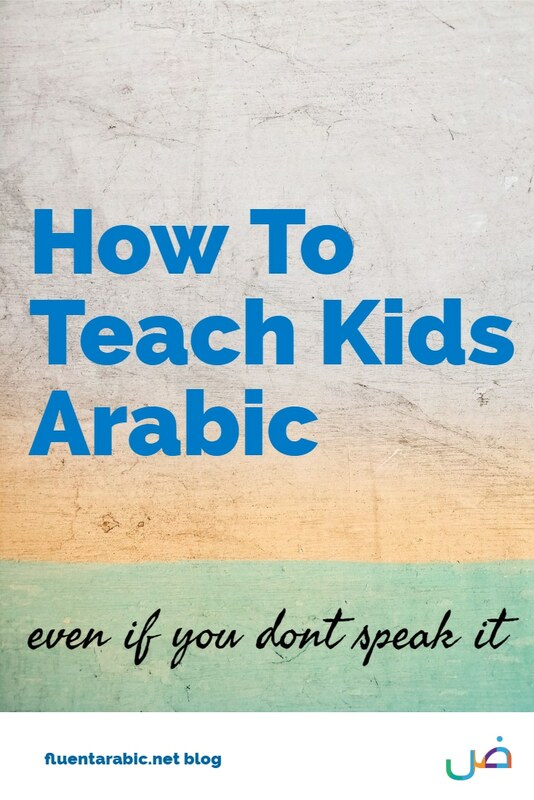 How do I teach my kids Arabic, if I don’t speak Arabic fluently? What if we don’t live in an Arab country? 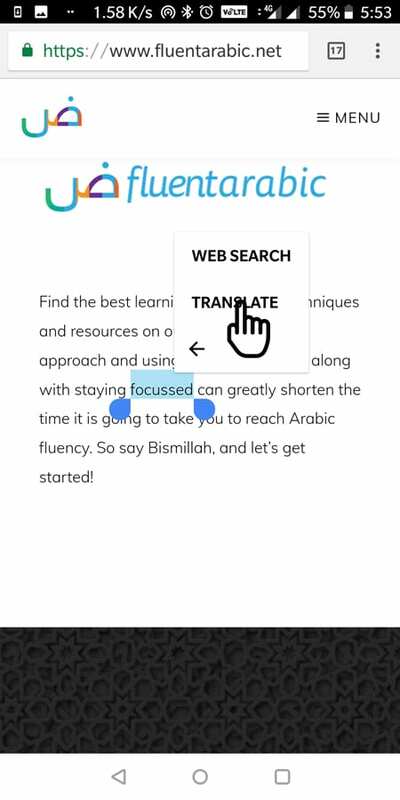 How do I get them to use Arabic at home? Can this even be done? These are questions that pop up when you talk about teaching kids Arabic. The answer to all this is, it is possible to teach kids any language. But you need to provide the right conditions. But What If I Can’t Speak Arabic? Even if you did speak Arabic, it would be awkward to speak in Arabic when you live in a completely non-arab environment. But there is a solution. 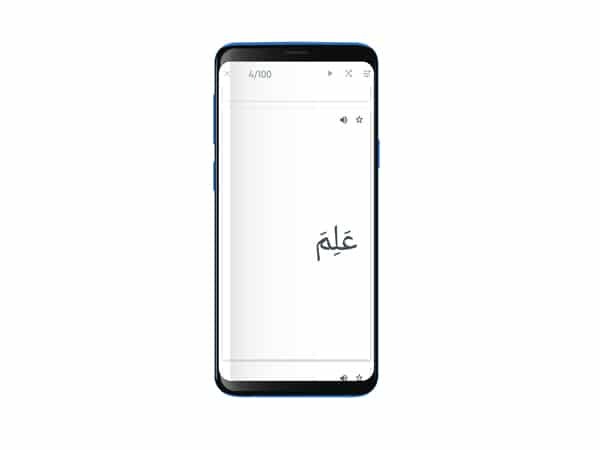 You don’t need to be speaking long complicated sentences with them in fluent Arabic. Children learn very gradually. What I suggest is that you start learning along with your kids. And use the simple words and sentences you learn with them. That will teach them, as well as reinforce your own learning. I remember teaching my daughter how to say ‘I want’ in Arabic. (أنا أريد). I just told her a few times. A few weeks later I was amazed. Not only did she remember it, but now she was using it in different contexts – to say that she wants different things. Imagine how much you can teach them. Which brings me to the next point. Children are like a thirsty sponge. They absorb things so fast. Have you wondered why someone who learns a language when they are young almost always speaks it better than someone who learns it later in life? 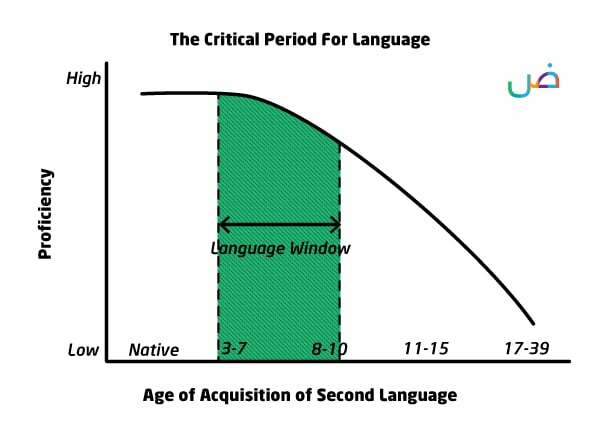 Why do language learners rarely reach the level of native speakers? A two-year-old child has twice as many synapses (connections) in the brain as an adult. According to research by Dr Patricia Kuhl, children are born with the ability to recognize and distinguish between the phonetic sounds from all the different languages. Or in other words, they are born ready to learn any language in the world. By the time they are 6 months, this ability starts to decline, and they start to focus on their native language. While you can master language at any age (inshaAllah), if you put your mind to it, it is so much easier to do it with your kids when they are young. Just imagine. 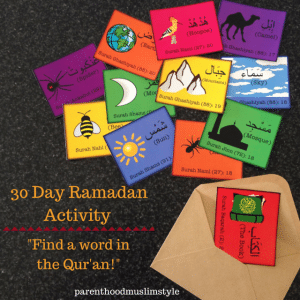 When your son or daughter grows up to be a young man or woman, he or she will be fully equipped to understand the Quran, the Hadeeth, and 1400 years worth of Islamic Literature, all in Arabic. In my opinion it is one of the most valuable gifts you as a parent can give your child. I think it is more valuable than any college education, degree or wordly knowledge that you can provide them. 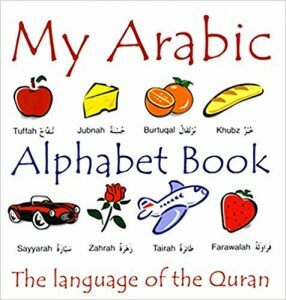 So How Do We Teach Kids Arabic? The basic idea is to get as much exposure to the language as possible. We will use a focused learning time of 30 minutes per day, using textbooks and apps. The remaining time should be filled with activities that are fun for the child, which expose them to the language. I’m talking about things like switching story books to bilingual ones with Arabic and English or any other language. Other things you can do include, playing Arabic games, watching Arabic cartoons etc. 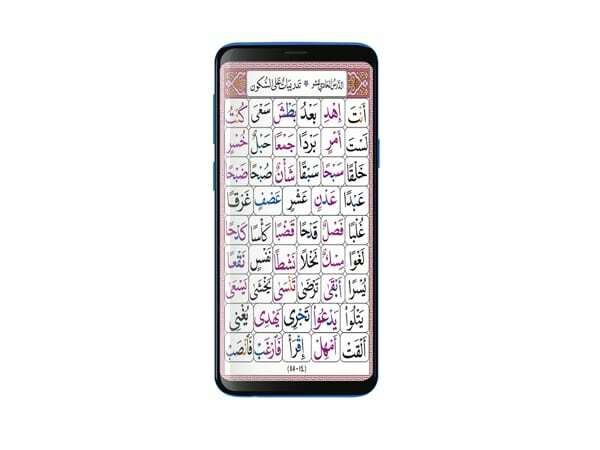 Follow my Pinterest Board: Quranic Arabic Flashcards. I will keep updating this inshaAllah. Use the Quizlet app: Quizlet is such a great free resource to learn words and phrases and a lot of other things. Once you download it, search for ‘quranic words’ under ‘search for flashcards’. You can find plenty of great lists. You can also make your own flashcards. Use illustrated dictionaries and word books. Books like these are a great option. Next, you need to teach them how to use these words in basic phrases and simple sentences. 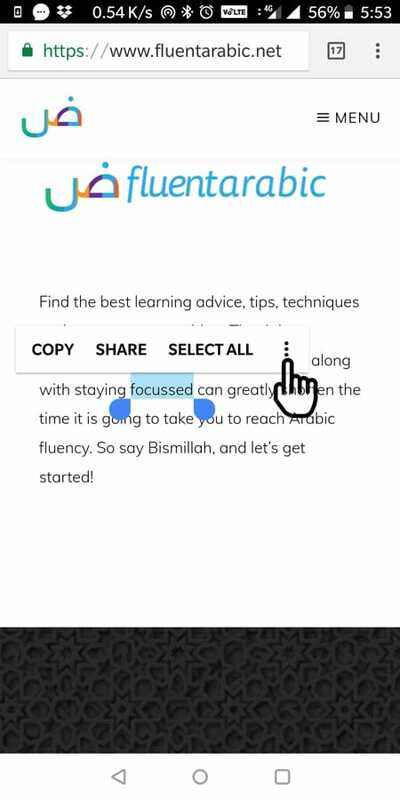 If you are learning Arabic yourself from a book like Arabiyyatu Bayna Yadayk, this step is going to be very easy. You can make plenty of simple sentences for your kids. Just being exposed the language can speed up language acquisition for the child. Try to switch all the cartoons (or most of them) to Arabic. Most cartoons are in Fusha or Formal Arabic. Check the resources section for a curated list of cartoons in Arabic. Another great option is to make them read story books in Arabic. 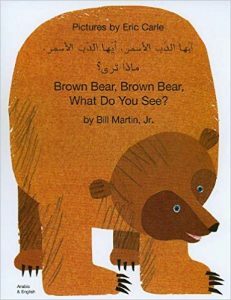 Look for bilingual books with the stories in both Arabic and English, so you can explain it to them. Look for visually pleasing books that children will like reading again and again. These books are always a great investment. You can also do simple activities and games with your kids. For example, play the ‘I spy’ game in Arabic, while you are in the car. Ask them names of simple things – the sky, earth, water, tree, river etc. I am working on developing some quality activities and resources myself as well, so keep checking the kids section in the resources page. It helps to be a part of a community where you can find advice, ideas and inspiration from like-minded parents and teachers. There are a few apps that are really valuable. To find some great vocabulary for kids, go to a web page with a great kid’s story. Translate all the words you like. IOS doesn’t have this functionality yet. But if you are using a mac or pc, you can get a chrome extension which allows you to do the same thing. 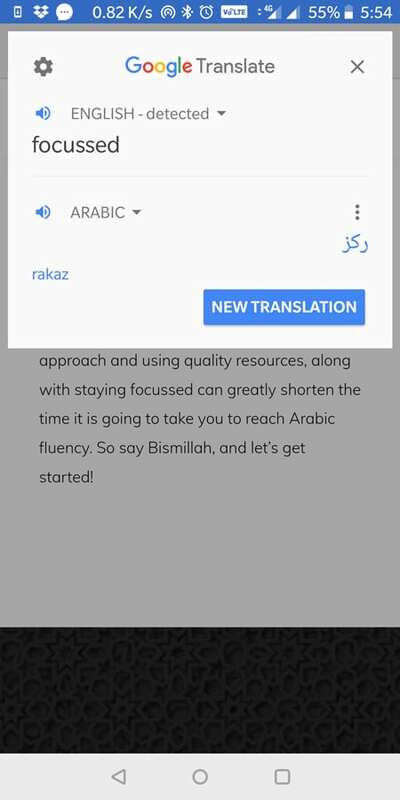 By the way make sure you download ‘Arabic’ inside the Google translate app, so it works offline as well. This is a basic framework you can work with for teaching your kids Arabic. Let me know if you find this useful in the comments below. InshaAllah, I will be writing more in-depth articles on the topic. Subscribe to be notified about post by email below.